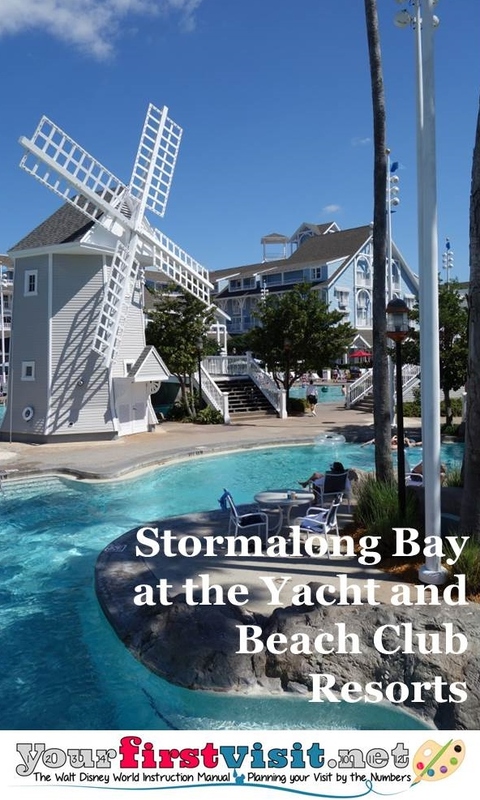 Stormalong Bay is the pool complex shared by Disney’s Yacht Club and Beach Club Resorts. 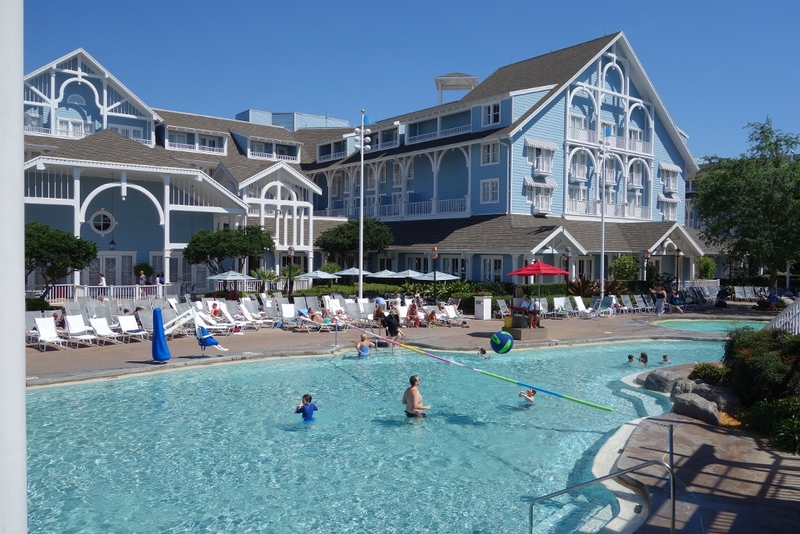 It’s the best pool at any Disney-owned hotel, and the crown jewel among the amenities at these two interconnected hotels. 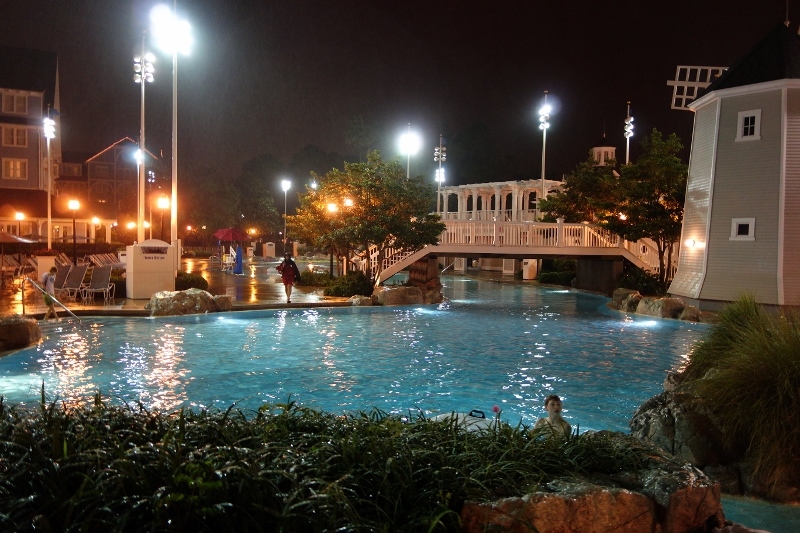 Stormalong Bay is commonly referred to as a “mini water park.” That’s an almost comic stretch. 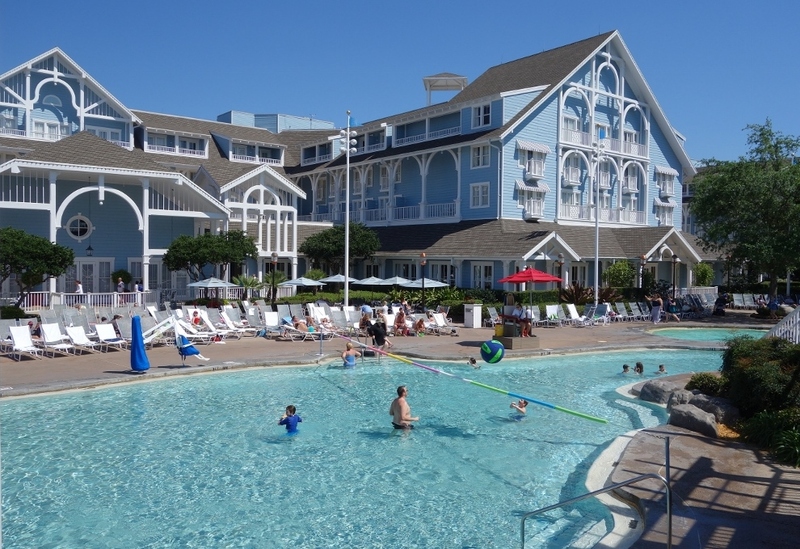 Yet even so, it does begin to mark the difference between this pool and the other pools at the Disney World resorts. 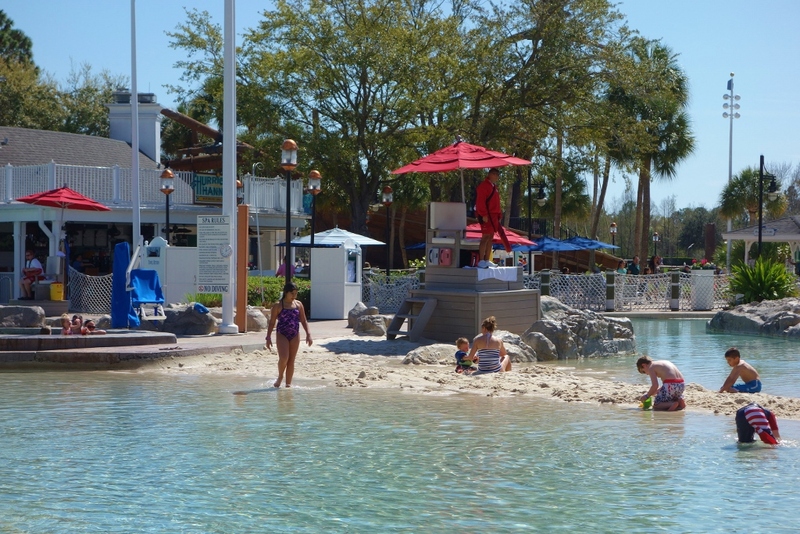 There’s no theming in particular, nor any lush setting–although the setting is fine, especially on the Beach Club end, with the pretty facades of the Beach Club on one side, and Crescent Lake on the other. 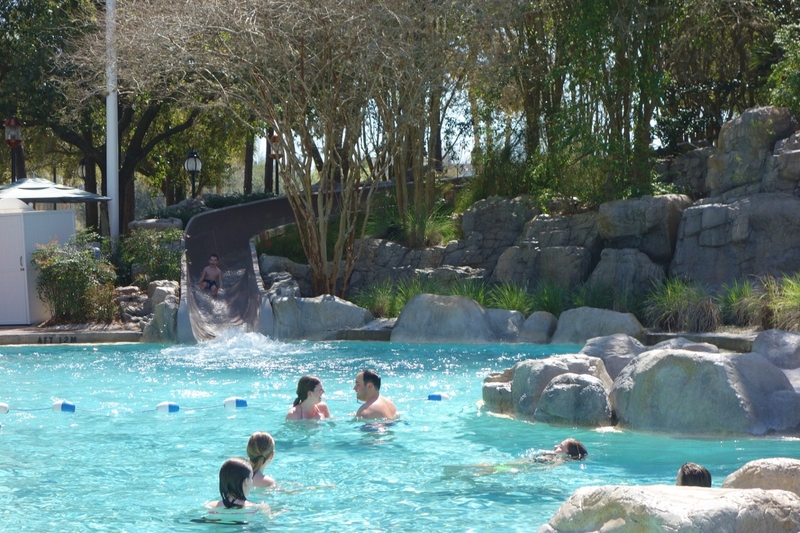 There’s five basic areas to Stormalong Bay–three large pools, each with its own distinctive offering, a great bar and grille, and a remarkable slide. 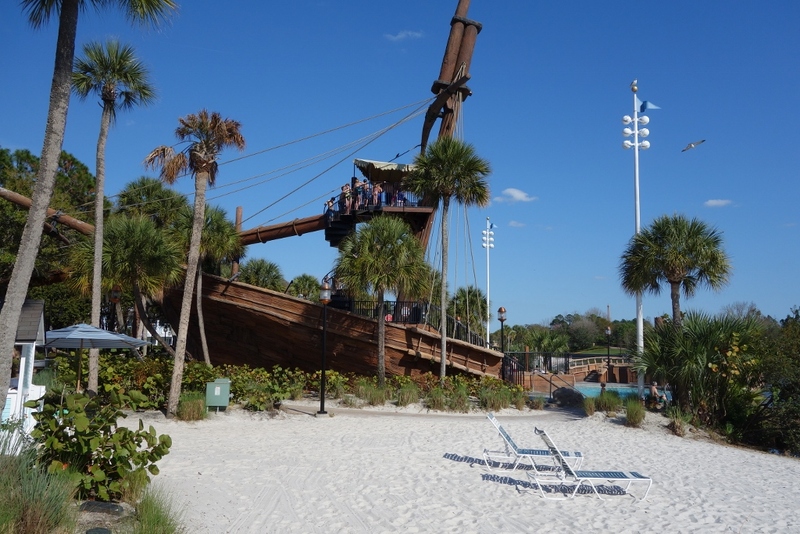 Let’s begin with the shipwreck on the beach, lower right on the map–which many casual passers-by don’t even realize is part of the pool complex. 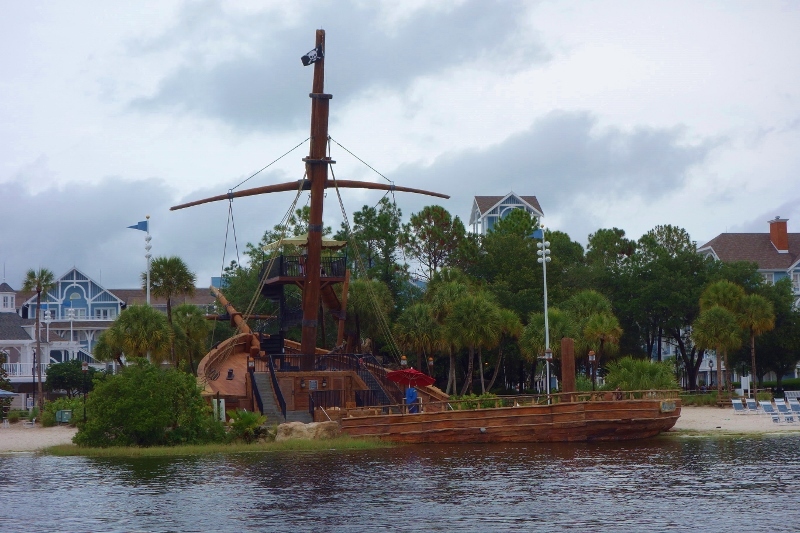 The shipwreck is actually the starting point of the two water slides at Stormalong Bay. In the image you can see people going up the spiral staircase to the slides. 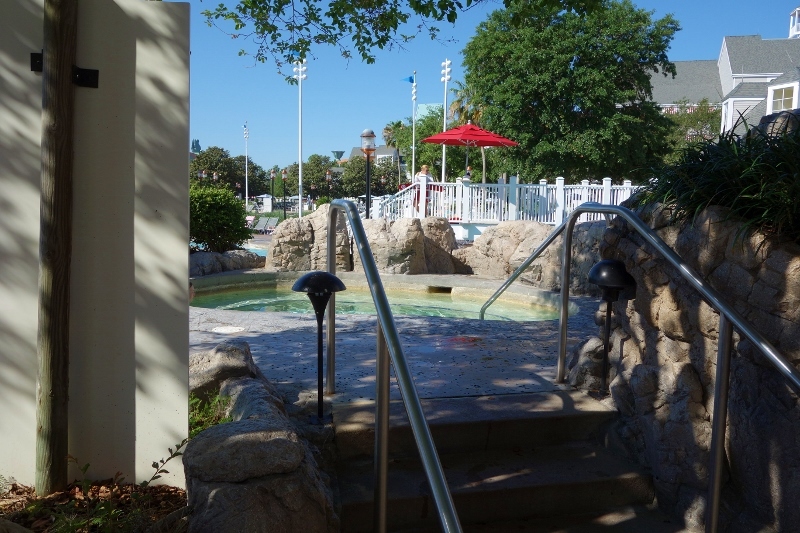 A smaller slide for youngsters splashes down to this small pool near the beach. The longer slide goes through what seems at first to be a dismasted mast and splashes down into Stormalong Bay proper. 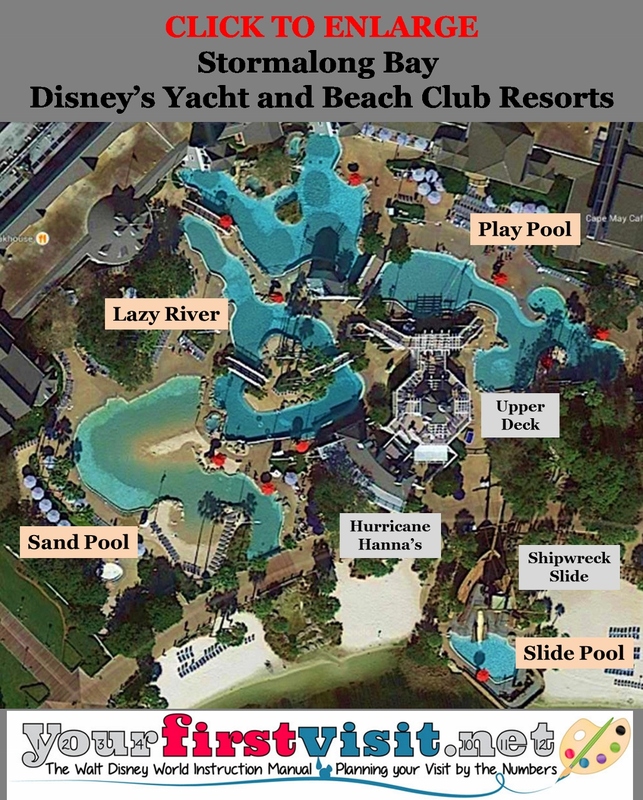 On the map, the slide entry is into the pool labeled “Play Pool,” at the far right side–hidden in the trees. 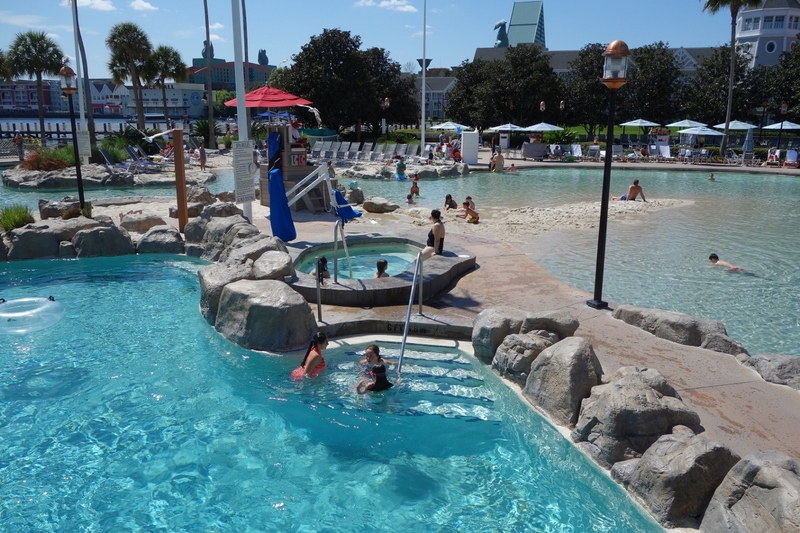 …and lotsa plain old swimming and sunbathing space, including two hot tubs on the upper left near the Beach Club, one of which you can see in the image. 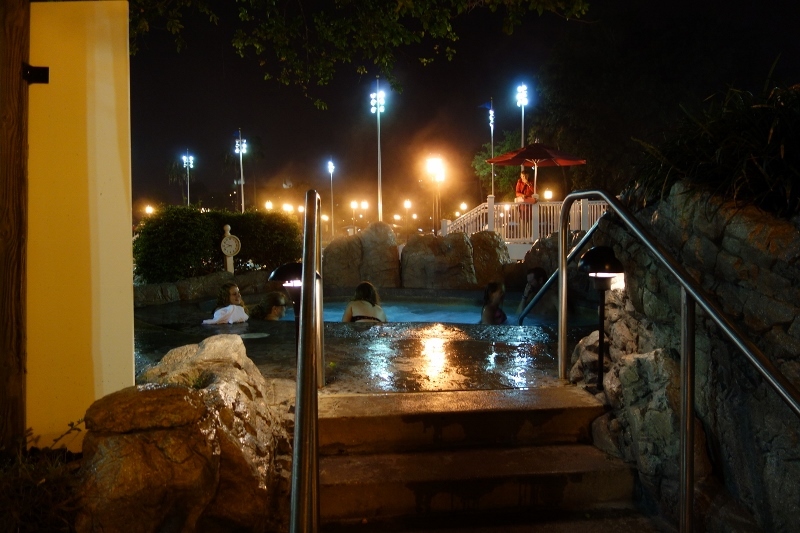 Here’s the same hot tub at night. 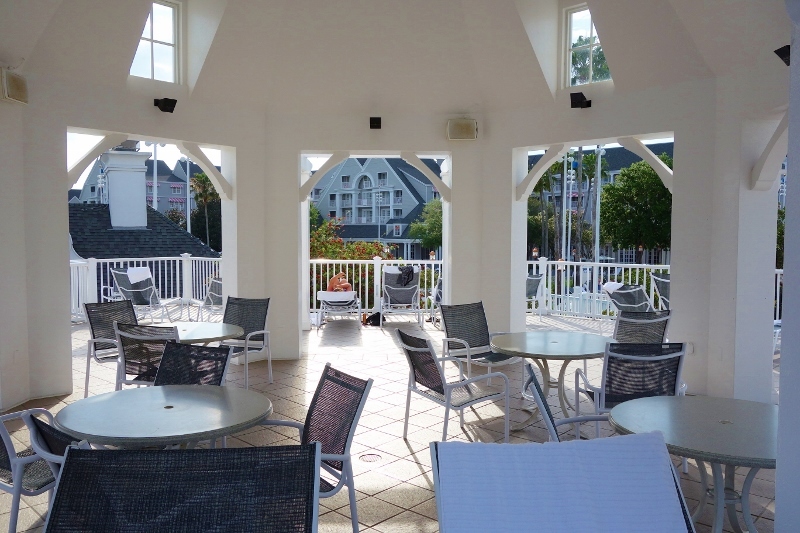 …but also a few sunny spots places to sunbathe. This structure, a bit of a respite from the rest of Stormalong Bay, tends to attract adults and older teens. 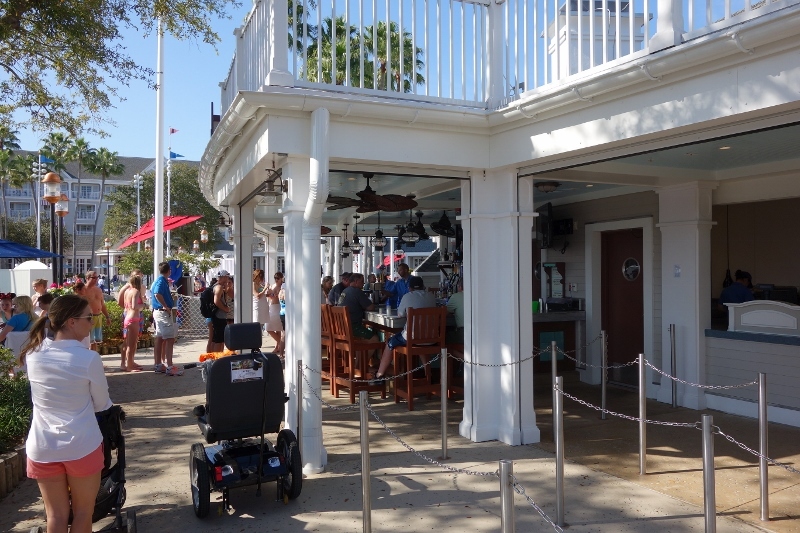 Next is the pool bar and grill Hurricane Hanna’s–the only part of Stormalong Bay accessible to those not staying at the Yacht or Beach Clubs (or Beach Club Villas). 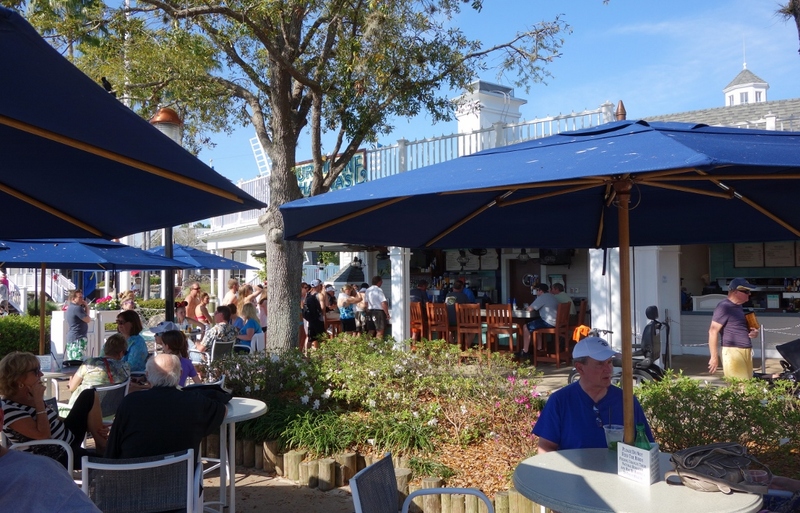 Hurricane Hanna’s has a more extensive menu than most deluxe pool bars–very helpful given the limited counter service among the Epcot resorts (although its capacity is low and lines can thus be long). 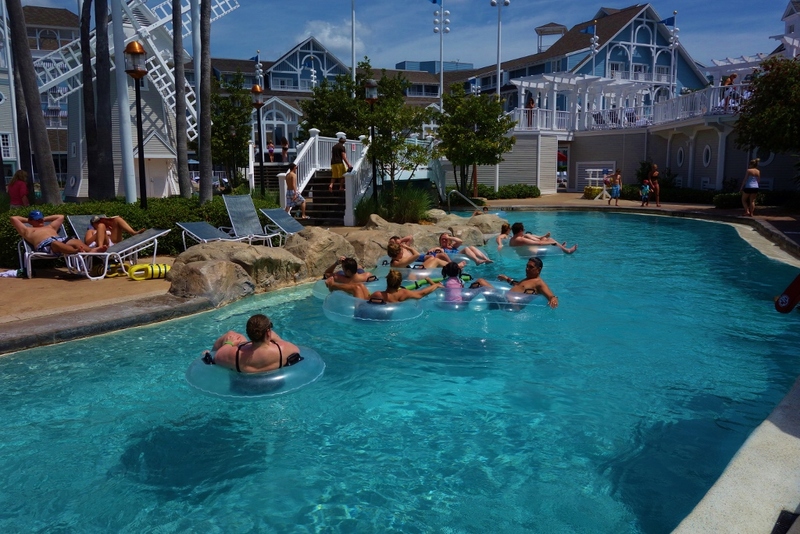 Another view of Hurricane Hanna’s and its seating area. 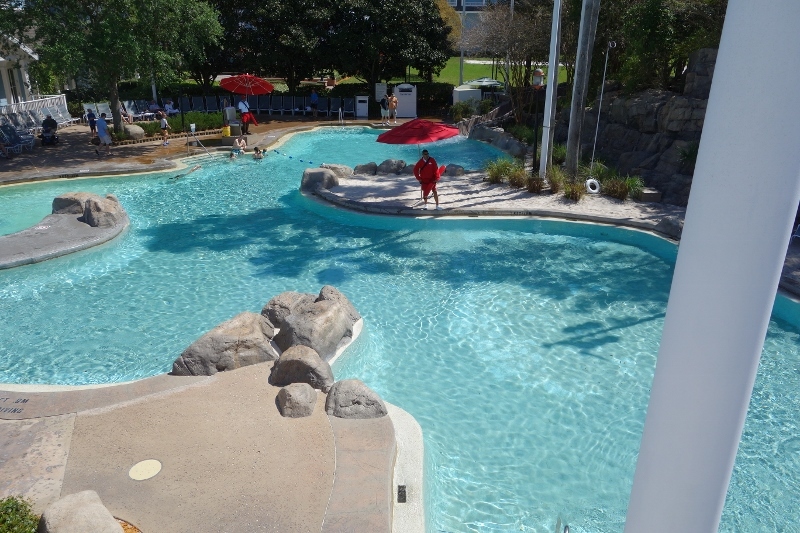 The next pool is the Lazy River pool. Here it is at night. 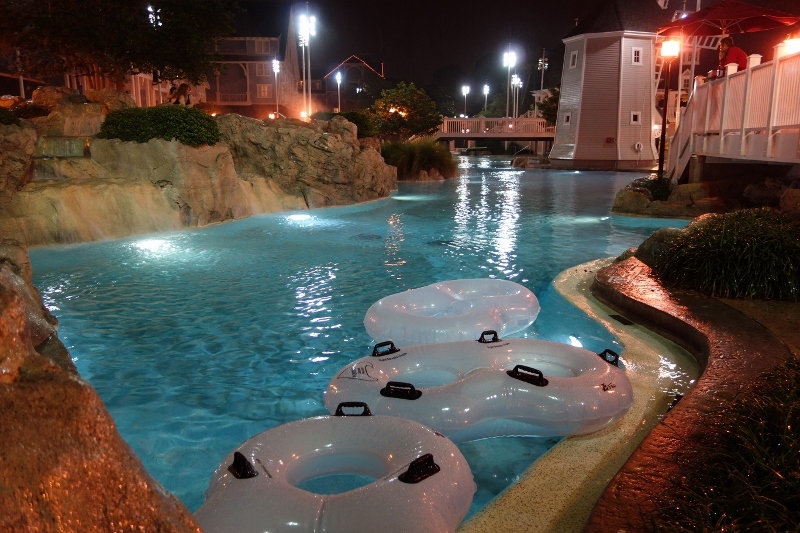 A constant current flows through the pool. You can either grab a tube or noodle and float dreamily in circles, or, if you are a better person than I am–and I think we both know that you are–get some great exercise by swimming against the current. 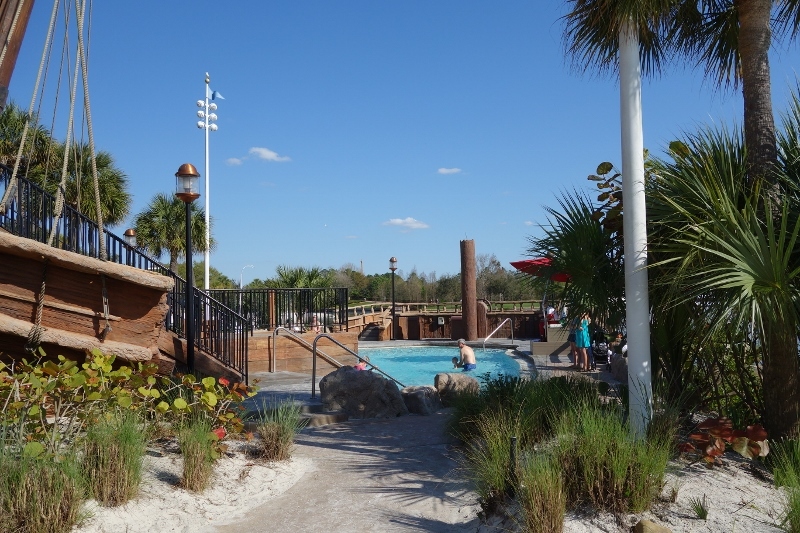 Next is the Sand Pool, with another hot tub between it and the Lazy River Pool. 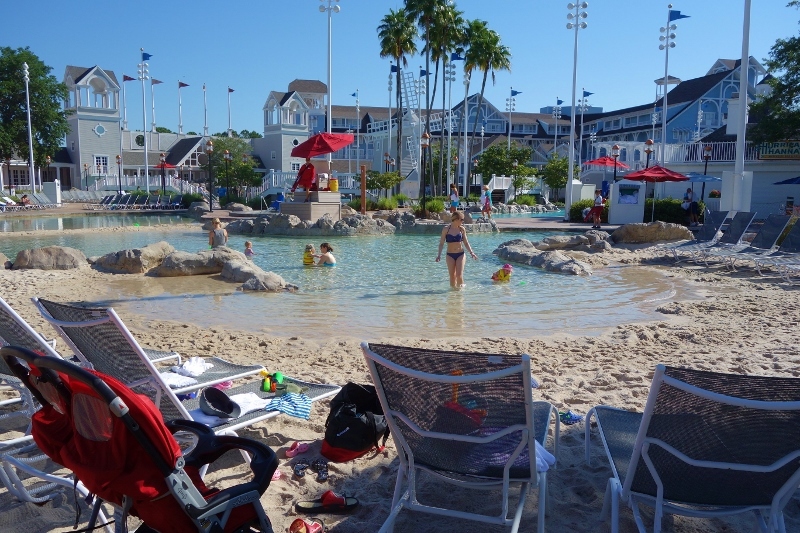 The Sand Pool has sandy shores and a sandy bottom, and is much loved by toddlers. Red play buckets are available from Hurricane Hanna’s. The Sand Pool from another angle. Stormalong Bay is a great pool, worth exploring over multiple days. But don’t forget your MagicBands. Only confirmed guests of the Yacht Club and the Beach Club and Villas are allowed in, except at Hurricane Hanna’s. I stayed here for my Honeymoon last December and I didn’t enjoy it as much as I hoped. The hallways are long and winding to get to your room with some patches of worn and dirty carpeting. Also, the concierge level was not even close to worth the cost of entry. Overall, the location is great, the pool is wonderful, and the vibe is laid back and fun, but I won’t be staying here again. Thanks Anthony. The place really needs a rehab–it needed one two years ago! Cast member told me one will be happening this summer.